The Municipality of Santa Maria Maggiore is really interested in preserving and promoting the artistic patrimony and the museums of the village. In collaboration with the firm Ditta Colnaghi.net, two virtual tours of “Scuola di Belle Arti Rossetti Valentini” and “Museo dello Spazzacamino” have been recently realized to show virtually the secrets and the artistic treasures displayed in the museums. You can view the virtual tours on this website: enjoy now the virtual tour of our museums! It is really an innovative proposal – Claudio Cottini, Mayor of Santa Maria Maggiore, declared – we wanted to offer our visitors a new experience that could entice them to visit personally our museums, that are really two cultural treasures in Piedmont. The virtual tour of “Casa del Profumo” will be realized soon. 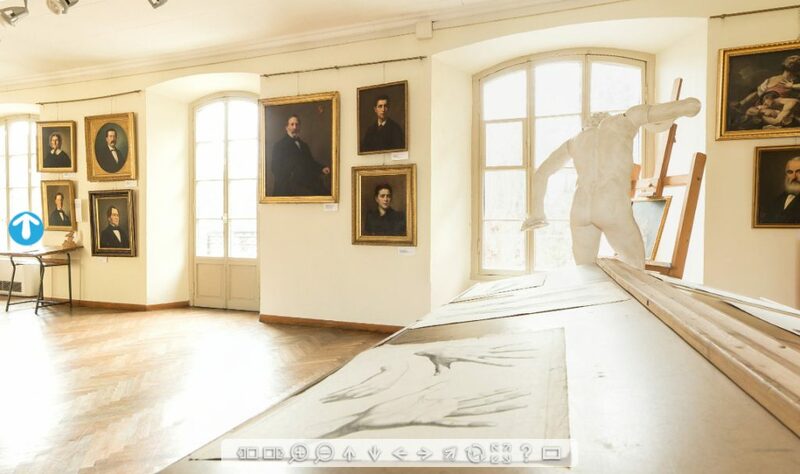 Don’t wait any longer: start now the virtual tour of Scuola di Belle Arti “Rossetti Valentini”! “Scuola di Belle Arti Rossetti Valentini” is situated in the old town centre of Santa Maria Maggiore: a 19th century elegant building that shows the distinctive features of the local architecture. The permanent exhibition presents works of the local painting dating from the second half of the 18th to the 20th century. 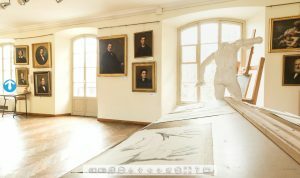 The wide room on the first floor houses the works of the main painters of Valle Vigezzo, whose favourite subjects were landscapes and portraits. On the ground floor there is the little chairman’s room with refined furniture and a rich library. All the 18th century plaster statues – once used as models by the pupils of the school – are kept in a small room that remains closed to the public. While in the basement a wood-carving course is organised by the school in winter. “Museo dello Spazzacamino” is the “place of memory” of this ancient job that greatly influenced the life in Valle Vigezzo in the past centuries. Every year this small museum receives more than 10,000 visitors from all over the world and offers an interesting and fascinating visit. On the ground floor of the museum different tools, working-clothes and paintings are displayed in order to recall the history of this job, which is strictly connected with the phenomenon of emigration. A big showcase houses the presents given by all the chimney sweeps that come to Valle Vigezzo from all over the world for the International Meeting every year in September. On the first floor you can follow a multi-sensory tour with headphones; while walking through a long horizontal black chimney, the visitor is accompanied by sounds and music and introduced into the world of the chimney sweeps: a sad story of poverty and exploitation, but in some cases an incredible story of success and social climbing. 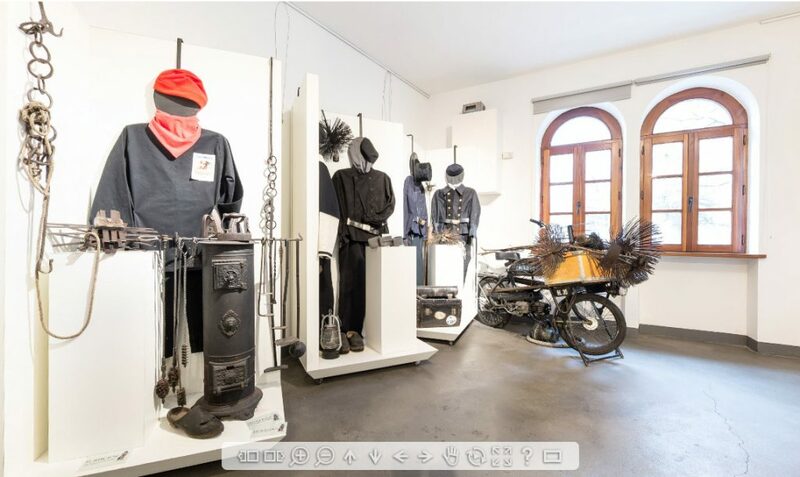 Don’t wait any longer: start now the virtual tour of Museo dello Spazzacamino!